GGG 2019 hosts well-known speakers, and musical artists. The call of God on Pastor Wanda's life is to teach the Word of God, so that lives can be change and people can be set free and delivered. During the years that she has been pastoring she has fulfilled God's mandate on her life to raise up a body of believers that know that there is nothing impossible with God!! Pastor Wanda's dynamic and life-changing teaching has challenged and inspired many to walk out their days in their true destiny. Pastor Wanda is also the proud mother of two sons, Steven Martin, Jr. and Tony Christopher Martin. The call of God on Pastor Steven’s life is to teach the Word of God so that lives can be changed and people can be set free and delivered. During the years that he has been pastoring, he has fulfilled God’s mandate on his life to raise up a body of believers that know that there is nothing impossible with God! Pastor Steven’s dynamic and life-changing teaching has challenged and inspired many to walk out their days in their true destiny. Along with being a husband, Pastor Steven is also the proud father of two sons, Steven Martin Jr., and Tony Christopher Martin. Dr. Deloris R. Freeman, affectionately known as Dee Dee, is the wife of Michael A. Freeman, Pastor and Founder of Spirit of Faith Christian Center. Devoted to the vision of the ministry, she assists her husband with a variety of duties to assure that his God-given mandate is carried out. She has the same emphasis in ministering as her husband and Pastor, which is faith and the family. 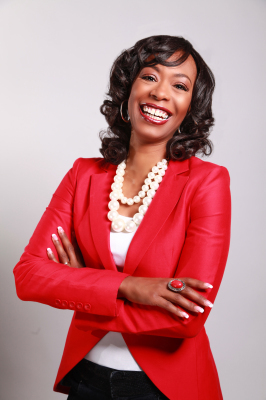 Dr. Dee Dee is the founder of Women Walking in The Word, a women’s fellowship of over 1000 women that meet quarterly. She passionately encourages women to support and fulfill the purpose of God in their lives. Her teachings inspire and challenge women to develop a strong relationship with God and with their families. She is an anointed, uncompromising teacher of the Word of God. 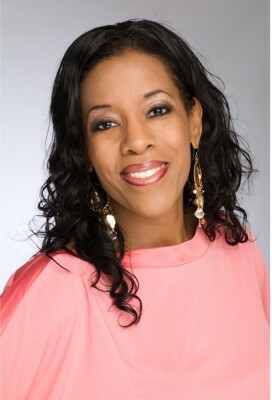 Sharon Motley is co-pastor and co-founder Abundant Life World Outreach Ministries. Her unapologetic style opens the hearts of the hearers to receive the uncompromised Word of Faith. As Pastor Sharon speaks the truth in the lives of the hearers, other captives are set free. Through her own testimony of healing, people find the anointing to be loosed from their past. She moves strong in the deliverance anointing and in the Gifts of the Spirit with a prophetic gifting. She has traveled the world and seen miracles and deliverances by the hand of God. Pastor Sharon can be seen on Victory Today and Sister to Sister television. She is the author of 31 Days of Healing, The Healing Word and Hymns for Him. Ss the wife of Pastor Bill Motley and a mother of 4 beautiful children. Dr. Capehart is the founder of “Healed for Real” Healing and Deliverance Conference and Sister Keeper International Ministries Crusade, a network for women in Ministry on a local, state, and international levels. She is the President of 2BLEEV Music Company and Founder of Y C Publishing Company. Dr. Capehart founded and operated R.B House in 2003 -2013 a group home for young women in crisis. Dr. Capehart received her BA degree in Special Education at the University of West Florida in 1991 and received her Masters Degree in Educational Leadership in 1998, from the University of West Florida. 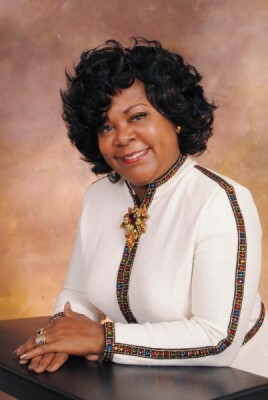 Dr. Capehart received her doctorate in Pastoral Counseling in May 2001. Dr. Capehart has released three musical CD’s, “I Speak Life in You,” “Destiny is Calling You” and her new single, ‘Closer 2 You.” Dr. Capehart is the author of Seven books, entitled, “Tied 2 the Promise, “ “After All I’ve Been through, I am Still Here with a Praise, “Drawn to Destiny”, “The Spirit of Assassination”, and “A Broken Rib, Deep Wounds do Heal” vol. 1 and vol. 2, and Healed for Real Journal. With the Love for God and a clear understanding of her purpose in Christ the Lord has given Dr. Capehart a Prophetic Deliverance ministry to heal the wounded heart, the broken in spirit and to encourage others to step out on faith as they strive to reach their destiny in God. As you listen to her minister in Word and in song, you will notice that she demonstrates openly a heat turned towards God and is proof that the hand of the Lord is upon her life. Pastor Vedia R. Jackson is a native of Chicago, Illinois. As the wife of Senior Pastor Samuel Jackson Jr., she serves alongside him as Pastor of Freedom of Grace Full Gospel Church. After working for over 20 years in various facets of the healthcare industry, Pastor Vedia left her career to pursue her call to ministry. In 1987 Pastor Vedia attended Logos Bible College where she received her license and was ordained to minster the word of God. It was at that time that she joined her husband and devoted her life to advancing the Kingdom of God. Pastor Vedia R. Jackson is an anointed vessel of God and a devoted wife. She walks by faith with a spirit of excellence, integrity, and love. Pastor Vedia and Senior Pastor Samuel Jackson Jr. have been married for over 22 years and have a blended family of 7 children. Pastor Vedia R. Jackson sermons are seasoned with humor and dramatically illustrated. 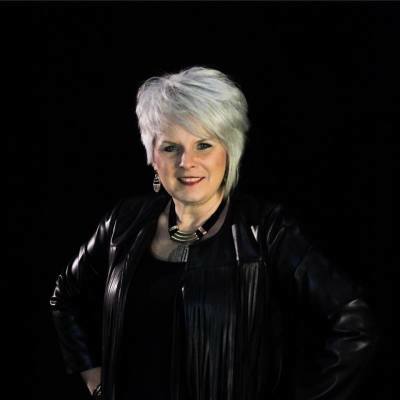 She was one of the lead characters of the very popular, Emmy award winning Christian program, "THE AWAKENING", which was seen throughout the Midwest. She is the author of " Are You a Wife or a Knife", play writer and producer of " When Love Cuts" It Happened on Christmas, The Gift of Love, and several others. She is the President and Founder of Bottling Up T.E.A.R.S. (Teenagers Expecting and Regretting Sexual Choices), To Be Beautiful, a mentoring and self esteem program for young women and adults, as well as R.R.A.W. (Refined Righteous Anointed Women). With a shared passion for restoring the family, Pastor Vedia and Senior Pastor Samuel Jackson Jr. host a weekly radio broadcast, G. E. M. S. (Growing Every Mate Spiritually) that is heard throughout Illinois, Indiana, and the World Wide Web. Pastor Vedia Jackson is a former Board Member of Prestige Diversions, Inc. founded by Taffi L. Dollar of World Changers Church International. POWERFUL, GIFTED, and ANOINTED these are but a few words that describe Tia Sharee. More than a skillful singer, her ministry transcends color, genres, and generations and she has been wowing audiences since the age of three. Tia was the featured singer and co-writer on Da’ T.R.U.T.H.’s GMA Dove nominated “LOST”—the driving single of his GRAMMY® nominated and Stellar winning CD THE BIG PICTURE. 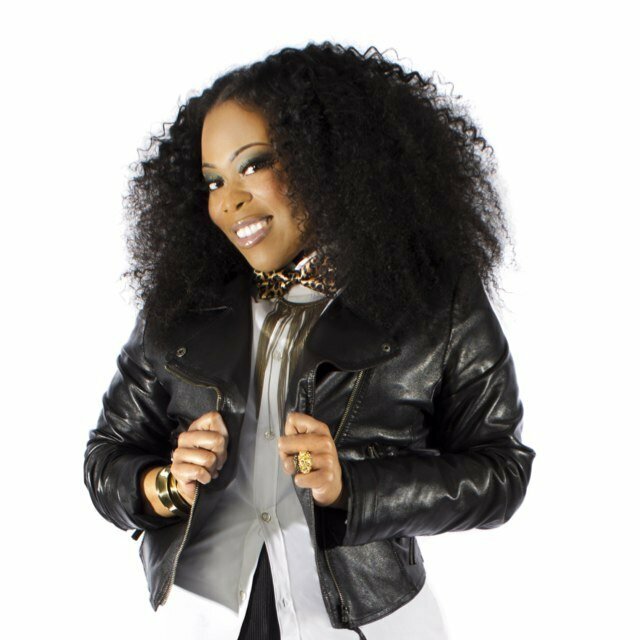 She has also worked with Tye Tribbett, Bishop David G. Evans, Wilmington Chester Mass Choir & countless others. 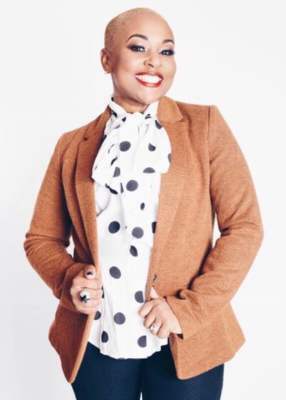 A first-round finalist in the third season of BET’s “Sunday Best,” she has also appeared on TBN’s “Praise The Lord,” BET’s “Bobby Jones Gospel” ,“106 & Gospel,” Daystar’s “Celebration” as well as at numerous mega churches. The artist now known as Tia Sharee has formerly been known as "Tia Mintze" and "Tia Pittman" , but is proud to now be known as Min. Tia Rudd the wife of Brian Rudd and proud mother of 4 beautiful children Tasjon, Taylor, Brian Jr and Christopher. While being excited about the many things she is, she is most grateful to be a SERVANT! Nakia Tabas Battle also known as Comedienne Lady Kee is a local comedienne in the Philadelphia area. She has performed at various churches and produced the stage play, sTiTcHeS, a live sketch performance featuring various actors, actresses and musicians. She also has produced a live comedy DVD, "Born this Way".